Update Offer Ended: Sorry you missed this great deal. Be sure to download the LRWC Toolbar to never miss a deal. Looking for a cheap flight out of LaGuardia, JFK or Newark? 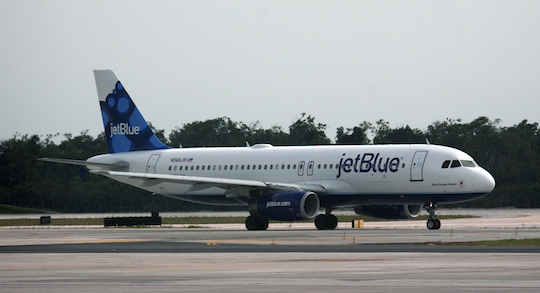 You have to check out this deal from JetBlue Airlines! They have fairs starting at $39 one way to 32 destinations! You MUST Book by 4pm est today! Choose from 32 Destinations out of LaGuardia, JFK or Newark! Note: Make sure you choose Oneway to get the cheap airfare. Limit Increase in ECB Offer – FREE Speed Stick Gear Deodorant, $0.50 Softsoap Handsoap + More Deals!